Ancilliary Justice, by author Ann Leckie, is getting the sort of press that debut authors dream about, from a starred review in Library Journal to this rave over at io9.com (and also, you will note from the cover picture above, a blurb from me). How did Leckie do it? By taking a sub-genre people love — space opera — and adding a new perspective to elements of it people think they already know, to make it surprising and fascinating all over again. Here she is with the details. 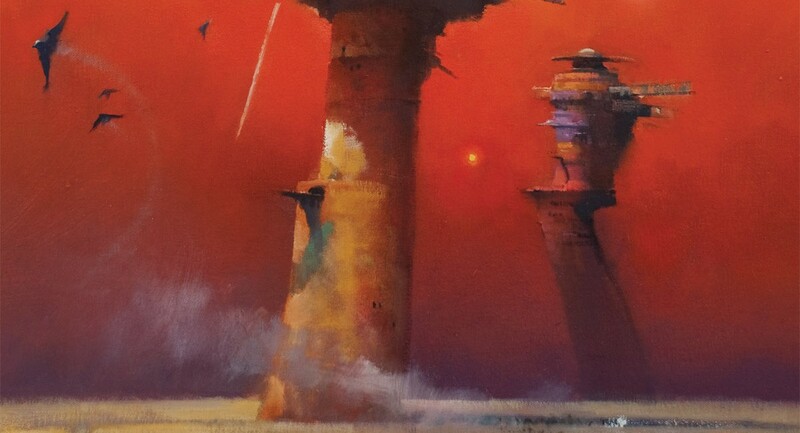 I began my SF reading career with space opera, and while I came to love all sorts of science fiction, the attraction to space opera’s set of shiny things is still a powerful one. So when I was first playing with the universe that would eventually become the Radch, it was–and in many respects still is–an assemblage of space opera tropes. Galactic empire? Check! Artificially intelligent ships? Check! Hyperspace gates! Destroyed planets! Force fields! Oooh, can I crowbar in a Dyson sphere? If it was shiny I threw it in there. I love that stuff! Sometimes the wetware body is played for horror, or sometimes for a (IMO overly simplistic) demonstration of the Power of Human Emotion. I wanted some of that horror, but I have qualms about the assumptions behind the Human Emotion trope and besides, it quickly became clear to me that what really interested me about my main character’s situation was the question of identity. 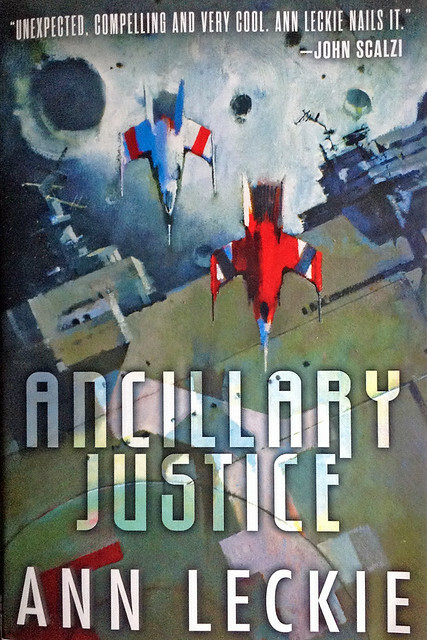 The main character of Ancillary Justice is a ship, the troop carrier Justice of Toren. She is also one twenty-body unit of ancillary soldiers, Justice of Toren One Esk. She is also a single segment of that unit, One Esk Nineteen. And that body was someone else entirely before it was Nineteen, before it was One Esk, before it was Justice of Toren. That’s a lot of different mes in one place, and how do you talk about that? How do you describe someone who’s body isn’t contiguous, who has more than one brain, who can be physically separated from themselves and still be themselves? How do you talk about being a person who might potentially (or actually) be several people? Or, the question that made me slightly queasy when I really started digging into it–who is anybody anyway? And if I don’t think that’s possible, if I think that who you are is very much a question of your body–your brain being very much a part of your body–how do my ancillaries work? And what is that like, to be a human body that’s part of a ship’s body? And what happens when everything but that one human body is destroyed? These weren’t the only things I came up with, when I asked myself what about this story interested me. But it was one of the first, one of the most basic questions. Who is this person, anyway? And how can they be who they are and what must that be like? *And she could totally have had as full a life as any woman! OMG, Star Trek, are you freaking kidding me?? **Yes, actually, while I do enjoy Upload stories, sometimes this aspect bugs me. Emotions, for instance. Emotions are very physical, very based in your body. That punched-in-the-gut feeling you get when something horrible or terrifying happens? Your adrenal glands sit right on top of your kidneys, and when you’re stressed they release a flood of hormones that mess with your blood pressure and, among other things, your gut. Yes, there’s an abstract part of the emotion–neuroscientist Antonio Damasio divides this into the physical “emotion” on the one hand, and on the other hand the “feeling,” the more specific reaction that’s more or less your personal interpretation of and response to that physical emotion. But the emotion has a physical base. Change that–design a body that’s radically different from a human body, or posit a being with no body at all–and the whole experience of emotion changes drastically. I absolutely loved this book. It’s a must-buy. This book is brilliant. Everyone needs to go buy it NOW. Seriously. It’s full of all sorts of wonderful things–from the main character to the worldbuilding to the use of language and point of view. It is easily one of the best SF books I’ve read in a long time–right up there with Mieville’s “Embassytown”. Just downloading now. Have to wait until tonight before I can make a start on it. Like Andrew, I loved this book hard. It pushes all of my buttons, and does new and interesting things in Space Opera. It pleases me to see an author who wholly owns the idea that “yeah, it may be on TV Tropes, but that doesn’t mean we can’t use it to tell a story.” Too often, people I know dismiss great story ideas “because it’s such a trope.” So what? Well done Ms. Leckie and I wish you continued success. Fascinating. Will see if I can kindle it up when I’m done typing this sentence. Downloaded it about an hour ago: very gripping and fun! Gotta say, first Tor.com’s free ebooks a few years ago turned me on to OMW and now your blog gets me reading a new book a month. Cool! Yes- but if we’re talking about being Uploaded, then everything you perceive is simulated. If we can simulate the feel of grass on your bare feet, or wind in your hair, or the taste of ice-cream, or the feel of your lover’s skin- then why not the adrenal rush? This is basically about the Qualia Problem, isn’t it? Really like the concepts involved in this book. Now I just need to finish my homework asignment so I can start reading! Who you are, how you react to things, how you behave, is very much a product of not only your history and the environment surrounding you, but also of the physical state of your brain. Your book looks wonderful. I can’t wait to read it! I’m so going to read this book. Looks fantastic. Okay, my local bookstore just got more of my money (via Kobo). I shudder to think of what my TBR pile would look like if it was all dead tree editions. Having read the preview, I’m not sure if I’ll be able to cope with the narrator’s inability to distinguish (or use) gendered pronouns. I didn’t realise how attached I was to the correct placement of “he” and “she”, until my expectations were violated. Maybe I could just pretend that all the characters are female… ? Or I could buy the book, and hope that I just get used to it! There’s a two-chapter preview available on the (Australian) iBookstore. It’s great to see simultaneous international releases across different distribution channels. The iBookstore preview is also twice as long as the website preview. 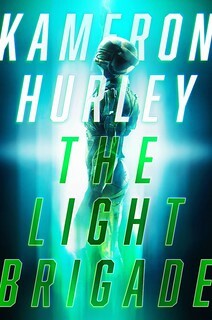 And I really like this book – it is reminiscent of Iain M Banks, and I liked his entire Culture series. I clicked through to the excerpt, and now I have to buy this. Not yet, though, I’m saving it for the weekend when I can enjoy it in one long sitting. Speaking of meat puppets… (1) Read Big Idea piece (2) click on B&N link (3) buy for Nook. I think free will is a fallacy. The preview ended 2.5 chapters in, and I’m hooked. I got used to the pronoun munging faster than I had anticipated. And now I must have that novel! Have recently got my hands on a copy of this, and I’m bumping it up to the top of my ‘to read’ pile. Finished this last night. 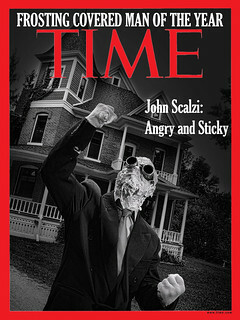 I’m not sure I just read next year’s Hugo winner, but I feel confident that it will be one of the finalists. Finished it yesterday: it was a great read. If you like SF, if you like good story telling, you will love this. I got my hands on this yesterday. Read it in almost one sitting! It was excellent. Congratulations, Ann Leckie, 2014 Hugo winner for Best Novel for Ancillary Justice!